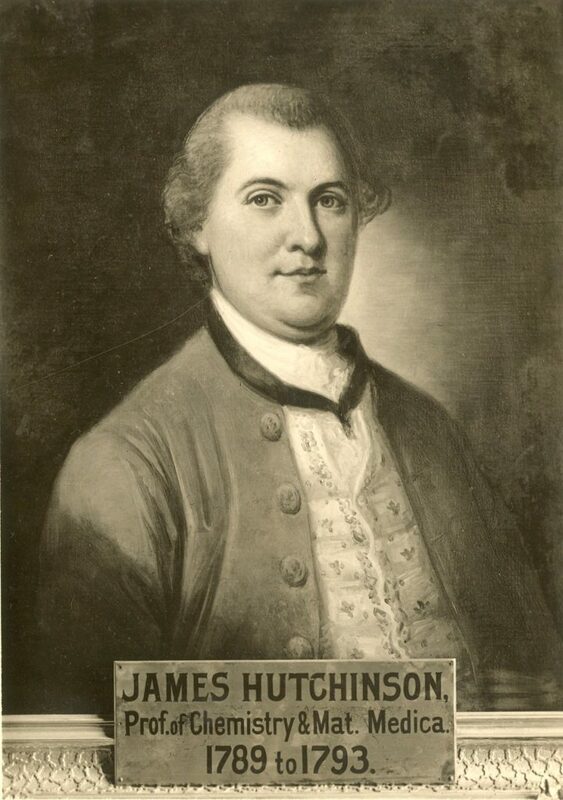 James Hutchinson was born in Bucks county, the son of Randall Hutchinson, a well-to-do Quaker farmer and stonemason. James was apprenticed to druggists Moses and Isaac Bartram at the age of fifteen. In 1771 he began his medical education as a pupil of Philadelphia physician Cadwalader Evans. After earning a degree from the Medical Department of the College of Philadelphia in 1774 and serving as apothecary to Pennsylvania Hospital from 1773-1775, he travelled to London to study surgery with Dr. John Fothergill and others. In 1777, Hutchinson left London to return to Philadelphia, bearing dispatches from Benjamin Franklin. When his ship was captured by the British, Hutchinson lost his library and other belongings, but he himself escaped in an open boat. On his return, he assisted the Revolution as a member of Philadelphia’s Committee of Safety, a surgeon and volunteer soldier, and from 1778 to 1784, as Surgeon-General of Pennsylvania. His service to the army included treating soldiers in the 1777 Battle of Germantown and the small pox inoculation of three thousand soldiers at Valley Forge. He was disowned by the Society of Friends in 1779 for his involvement with the military. A supporter of Pennsylvania’s radical constitution of 1776, he became an anti-Federalist after 1788 and a founder of Pennsylvania’s Democratic Society in 1793. Hutchinson was elected to the staff of Pennsylvania Hospital in 1777 and to the American Philosophical Society in 1779. In that same year he was appointed by the Pennsylvania legislature as a trustee of the University of the State of Pennsylvania (now the University of Pennsylvania). 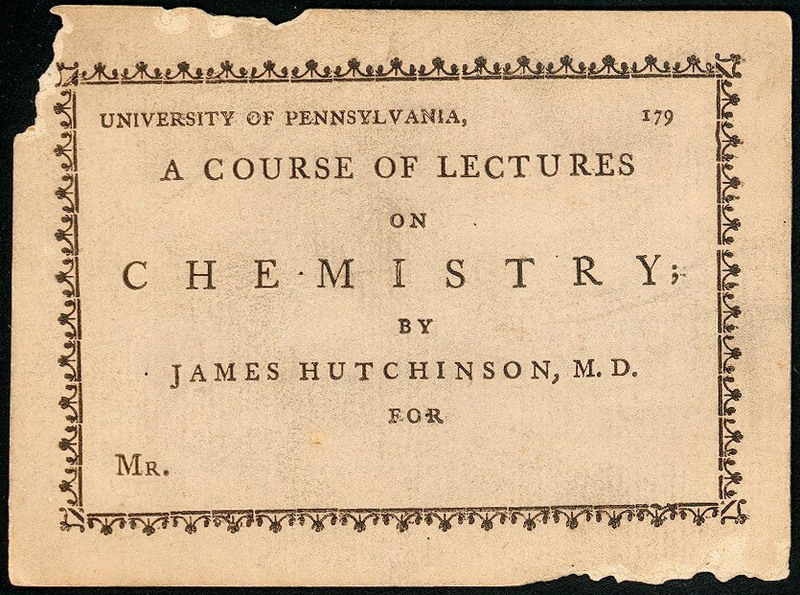 He was a founder of the College of Physicians in Philadelphia in 1787, two years before he joined Penn’s medical department as a professor of materia medica and chemistry. Hutchinson married Lydia Biddle in 1779 and then Sydney Howell in 1786. He died as a result of his work with victims of the yellow fever epidemic of 1793.